I listen to a lot of loud, and for that matter difficult to listen to, music but sometimes I crave, my soul and heart needs, something quietly beautiful, something that communicates directly with my emotions. 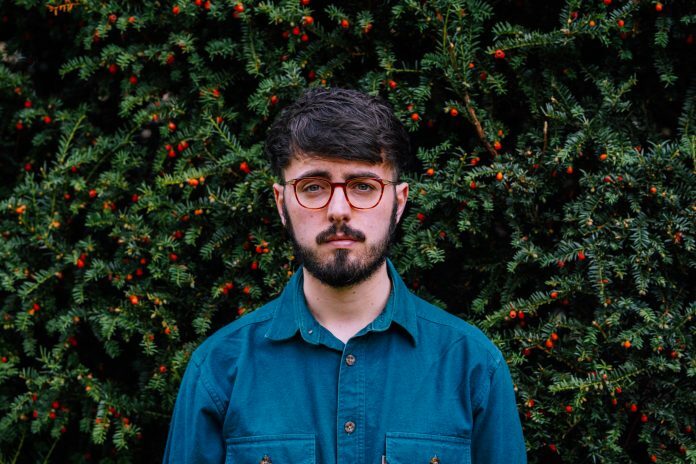 Noggy’s new single ‘Weighed Down’ meets that need. While Noggy himself describes what he does as folk-pop or indie folk (and broadly speaking I have not the slightest idea what indie folk is to be honest), for me this is a folk influenced pop ballad. The nod to folk I suppose is that there is some frankly wonderful acoustic guitar. But, and it’s a big but, can I really be happy with describing this as pop – it has too much depth and sophistication for me to be happy with using the term pop. It starts with piano, sparse piano, and some synth sounds, then there is gently plucked guitar. Even before Noggy’s vocal came in I was hooked in. His vocals are quietly full of emotion, he doesn’t resort to overblown vocal gymnastics. He lets the words shine through. And yes it builds, there are ethereal backing vocals, There are more layers of sound, but it’s basically simple, the music never overwhelms the words, it compliments them. And although it builds, it swells, that swell is just enough to help you understand the emotion in the song. And what all this does is to gently draw you in, you are taken into the song, you feel the emotion. And I wrote this while I listened to the song but I had to keep stopping because time and again my attention was taken completely by this beautiful song. And at times, particularly towards the end of the song it semi stops and then it swells again, I was moved so much that I felt something deeply, something in my soul. I’m gushing, I’m gushing because this is so so good, so wonderful, so beautiful. I said in a review some time ago that sometimes I am so moved by a song that I feel I need to thank the artist or band for making it. This is one of those times. So who is this song for? It’s for anyone who likes music that is fantastically put together, for anyone who likes a song to be full of emotion, for anyone that loves music that is food for the soul and heart. It’s for anyone who likes music to be beautiful. Noggy is a 23 year old songwriter from York making emotionally reflective and delicately raw folk pop. Noggy’s songwriting and presentation beautifully encapsulates life with the listener taken on the journey with him. His new music presents an ambient feel, with heart achingly honest lyrical content and gently powerful harmonies. Focusing on aspects of love, loss, angst and hope. Noggy’s music holds intense heartfelt character and brightens yesterday’s moment of darkness.